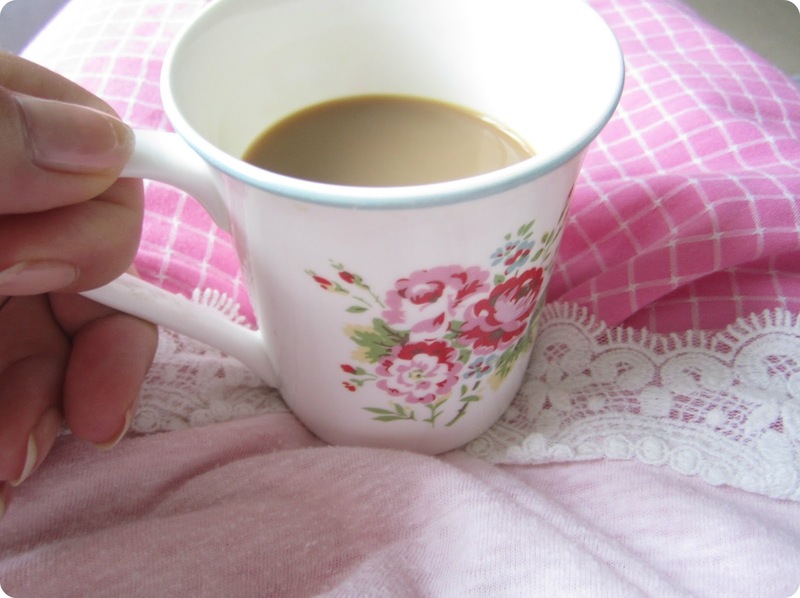 I'd have greeted you this morning with a gratuitous 'coffee in pyjamas' photo. I would definitely have included a picture of my new Next (via eBay) duvet cover. 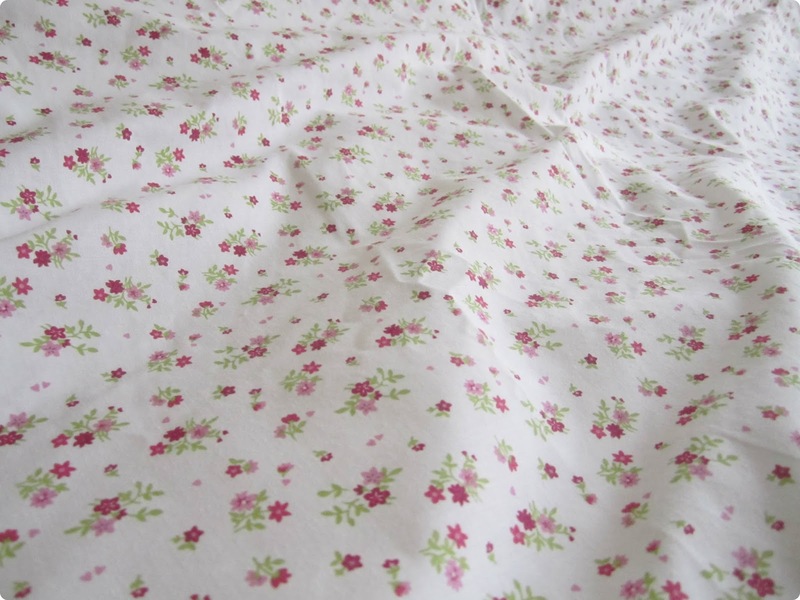 It's like sleeping in a ditsy floral cloud and pleases me hugely. 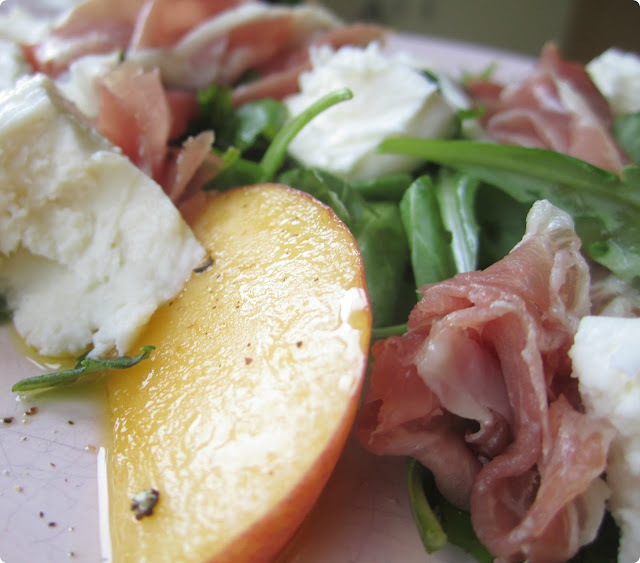 I would have confirmed that, absolutely yes, peaches and parma ham are indeed a match made in heaven. Without a shadow of a doubt, I would have shared pictures of my new shoes. 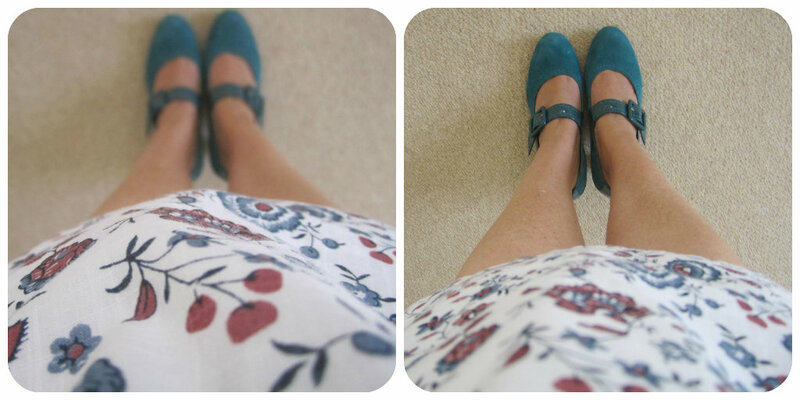 Proper grown-up clip-cloppy shoes with heels but with a Mary Jane twist. I would explain to you that I'm normally a flip-flop or ballet flats kinda girl so as to emphasise the resonance of such a purchase. But I'm not on Instagram any more. I took the leap. It was beginning to irk* rather than inspire. So my dear blog friends, you got the pictures instead!!! It's a surprisingly hard habit to break. *I did post a little farewell message before I left - to those who missed it, I'm sorry. I was wavering about leaving anyway. I fell in love with Instagram for the exchange of ideas and chatty interaction with lovely likeminded friends (I miss you). Sadly, it seems now to be heavily-laden with giveaways and self-promotion. The current preoccupation with weight loss and obsessive exercise makes me feel a little uneasy too. But maybe that's just me. I have only just discovered your blog and I love it. I am also not on instagram so am delighted to see little snapshots from your day :-)I don't think there is any need to break that habit. P.S. Completely love the shoes. What a fab colour. Yes I have noticed a lot of giveaway posts recently which annoys me a little too. I don't go on IG half as much as I used to anyway. IG is only a half arsed blog post anyways if we are honest. p.s buying that mag was naughty! It's quite liberating sometimes to do that. Good for you! I 'came off' Facebook 2 years ago and don't regret it at all, plus the main thing is we haven't got time for everything and sometimes you need to jump off the bandwagon/roundabout. Wow! Loving the shoes. Such a lovely colour. I've yet to discover the delights of Instagram, I just don't seem to have the time mostly. Hope your weekend is fab. I would read a blog post rather than Instagram anyday, especially one with such lovely images as these. The continuous forced spontaneity of Instagram is bewildering. I'm trying to get back into reading blogs and blogging than random tweets and facebooking. Love my IG too much to give that up but I think IG and blogging is more than enough I think! 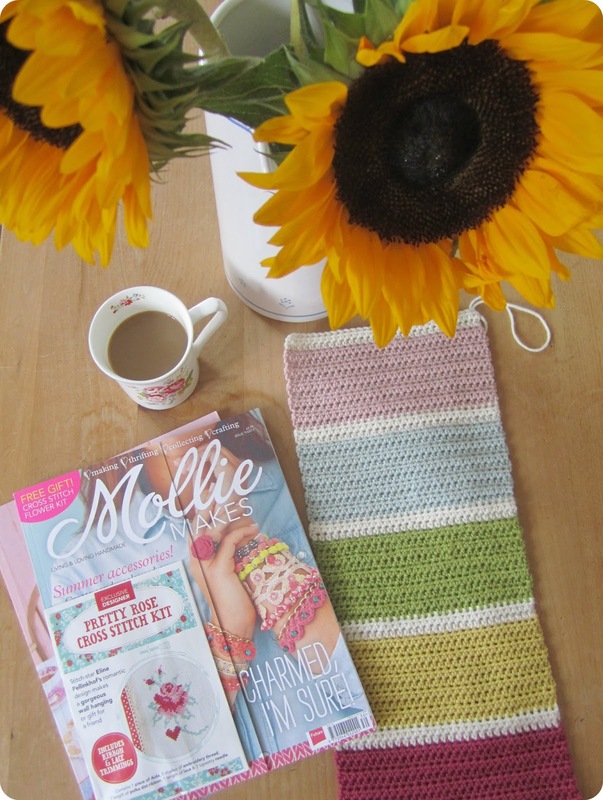 Yay, I'm very happy to get my 'pinkmilk40' IG feed fix on your blog. Even better because there is no pesky giveaway's in-between! ;) Your bedding and the crochet are all gorgeous but those shoes are divine! Adore the colour. Yum! Wow, love your shoes, what a scrumptious colour! So lovely to see your beautiful photos here, Heather! Love your amusing commentary too :) your new shoes are gorgeous, and so is your sweet ditsy duvet cover. Wishing you a wonderful bank holiday weekend. Hi Heather,Absolutely looooooooove your new duvet!! !It must be bliss to sleep under such a happy flowery cover!!! !Love your new shoes too!! !Have a fab weekend!!! You may have noticed me joining IG just as you left it. For me it's handy for sharing project related stuff that won't make it to the blog, like freshly dyed stuff hung to dry ... kinda proof that I really do do the things I say I do! Hi Heather, I was really enjoying IG but it is starting to fade a wee bit, I too am over the giveaways, dieting etc. I love how I can keep up with my 'over the pond' friends so that is a plus to it. I am missing seeing you and a few others who had beautiful photos to share tho' I have neglected my blog somewhat as I have lost my voice so to speak, feel like I have nothing much to share, it seems that all I do is work and not much else, bit boring. IG. Yeah. Hmmmmmmm I do still like it but I don't LOVE it like I used to. Statigram has kind of buggered it up for me because it makes me frightened to stop following someone whose feed doesn't inspire me. I don't like the playground bitchiness that has sprung up nor the reading wrongly the tone of a comment which then leads to said bitchiness. I particularly hate it when someone disagrees with another persons comment or takes offence when none was meant. They then delete the comment and do a text pic saying they are getting bullied. Then all their followers go on and 'support' the wounded victim without having all the facts. I saw this happen the other day. I saw someone get slated by their good friend because their good friend didn't have all the facts to hand because the comment had been deleted. It's just so wearing. In fact it's worse than that, it's borderline slander/defamation of character/liable... and if someone which the guts, brainas, money or contacts got umpty about it, they could really go for the person who felt "bullied". It's a bit scary! I hate all the reposts, give aways, "Happy Wednesday! ", like for likes, follow for follow, get more followers rubbish. Don't get me wrong, the occasional giveaway is fab but the other day I swear to god I had 25 pics in a row on my feed of the same giveaway. Grrrrrrr Some people I follow seem to have given up with posting their own pics and are reposting giveawys alone. If I unfollow I might get named and shamed like Ness did. Gosh I miss her. Just come to find your blog today - was thinking about your lovely instagram pictures as it happens. and thought I'd have a nosey. I was a late arrival to the instagram party and love the creative group I stumbled across but agree about the seemingly constant reposts and wondering if I can unfollow someone or whether it will be noticed?